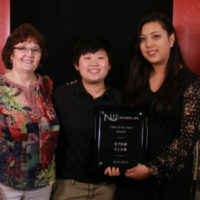 Every year, Newman University recognizes Joyful Jet Day, a day in which students celebrate the kindness of donors who give their support to the university. 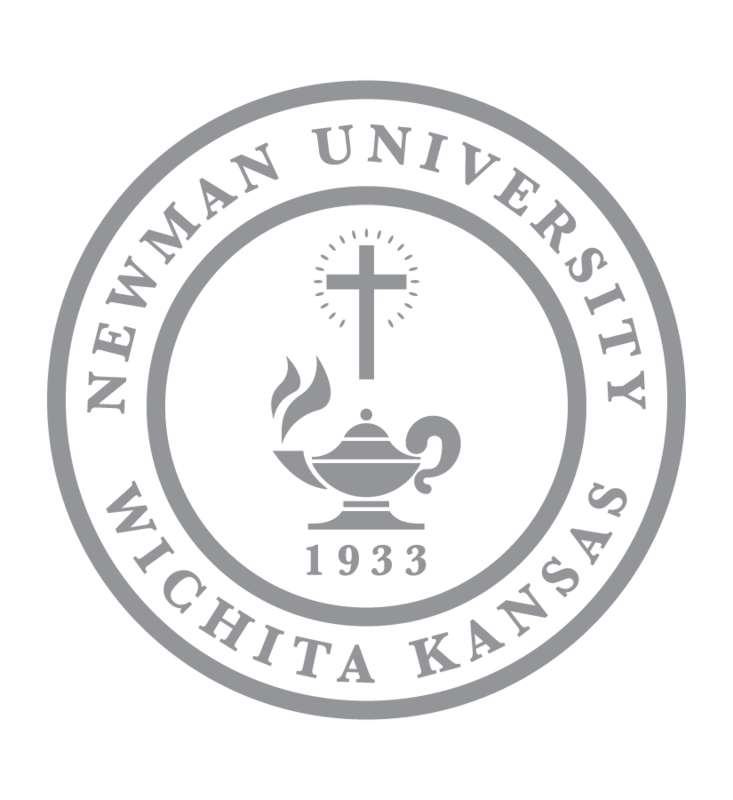 Tuition only covers about 90 percent of what it costs to educate students at Newman for one full academic year. The other 10 percent is funded by the generous donors — alumni, parents, faculty, staff, students, and other friends in the community — who generously give to the university. Joyful Jet Day is a day in which students are reminded of this generosity and support, and also have the opportunity to say “Thanks” to all those who support Newman. Maureen Hogan holds her Joyful Jet Day sign. 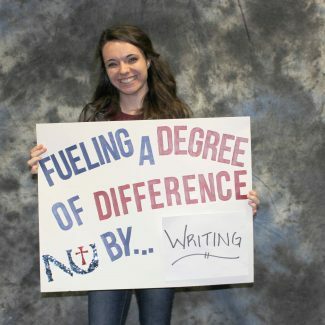 Newman senior Maureen Hogan said she appreciates that Joyful Jet Day highlights the importance of alumni and donors in relation to the success of the university. 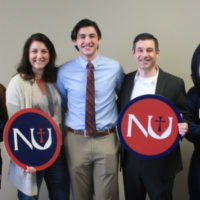 Students also enjoyed taking photos and selfies at two photo booths set up in the Student Center and Eck Hall, where they could also refuel with a snack and drink provided by the Newman Alumni Relations Department. 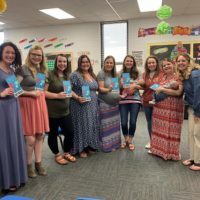 Scholarship recipients had the chance to connect with donors at the annual Scholarship Luncheon and continue their conversations at a Meet and Greet event in the Tarcisia Roths, ASC Alumni Center directly after. All enjoyed a performance by the Newman University Sloppy Joes Improv Troupe during the Meet and Greet.